Alfa & Omega were beat first, then the Fulgors. 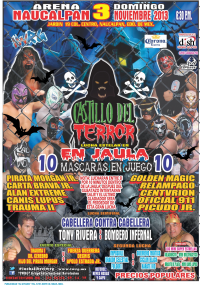 Hijo de Mascara Ano 2000 defeated Trauma I to win, will get a title shot against Oficial 911 at some point. Imposible and Douki had issues, leading to their team's defeat. 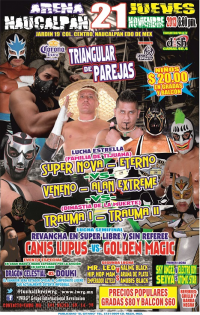 Golden Magic won and challenged for Lupus' title again. Super Nova's return. Alan seems unhappy on the rudo side, and he accidentally fouled Super Nova and his teammates turned on him. 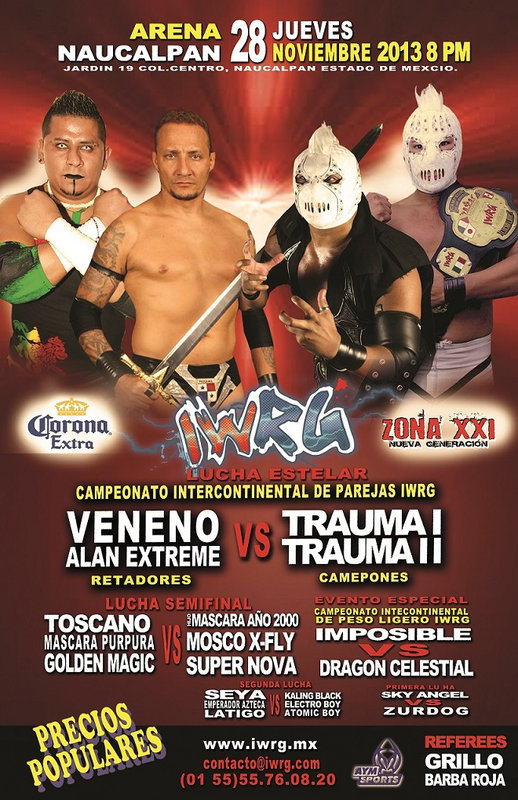 Looks like Traumas turned on Veneno as well, but not mentioned in the IWRG recap. Result isn't clearly specified. Epidemia replaced Kalim Black, Latino replaced Mr. Leo. Mask ripping and bleeding. 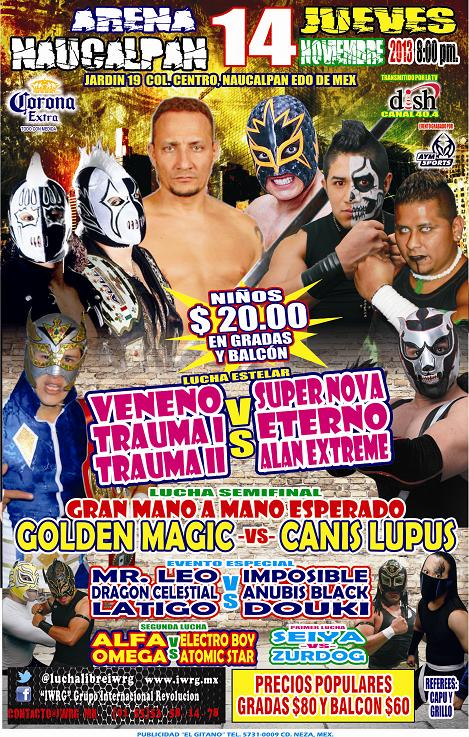 Golden Magic asked for a mask versus mask match, not a title match. Traumas used fouls to defeat Nova & Eterno. Alan & Veneno bled again but beat the Traumas to win. Imposible is champion. Second defense. Gringos VIP are champions. First defense. Apolo gave Cerebro a martinete for the win. Cerbero and Apolo challenged each other to a hair match. Traumas are champions. Trauma II pinned AK47 after a chair shot. Third defense. Piratas are champions. Fresero replaced Eterno (injury.) Rudos got away with a foul on X-Fly. First defense. 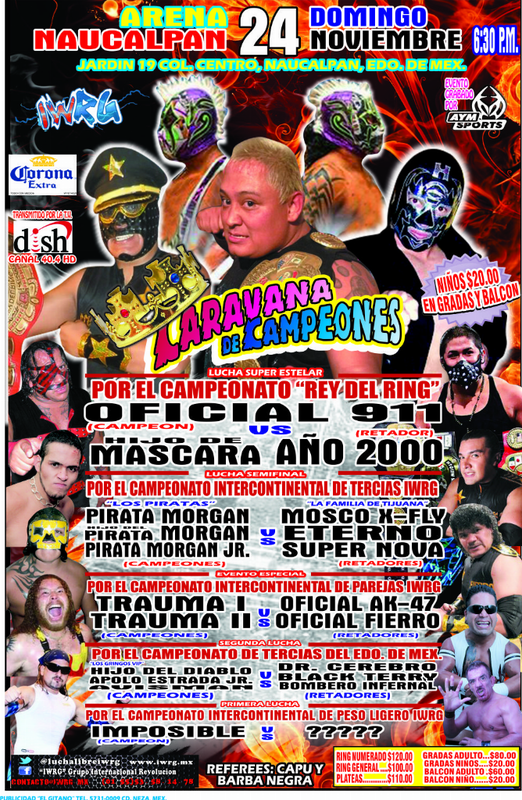 Oficial 911 is champion. Apolo (Mascara) and X-Fly (911) were seconds. Apolo fouled 911 but was caught for the DQ. First defense. Impossible's third defense. Best match of the night. 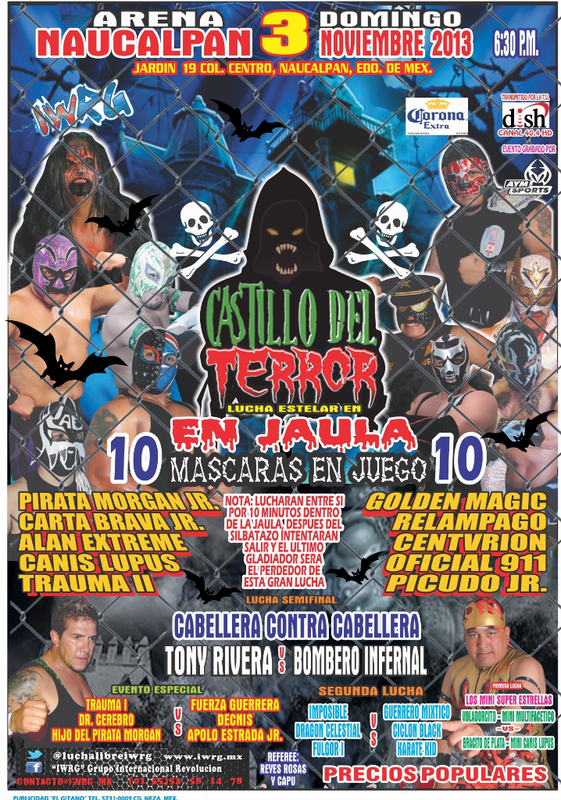 Mascara Purpura beat X-Fly with the shooting star press. 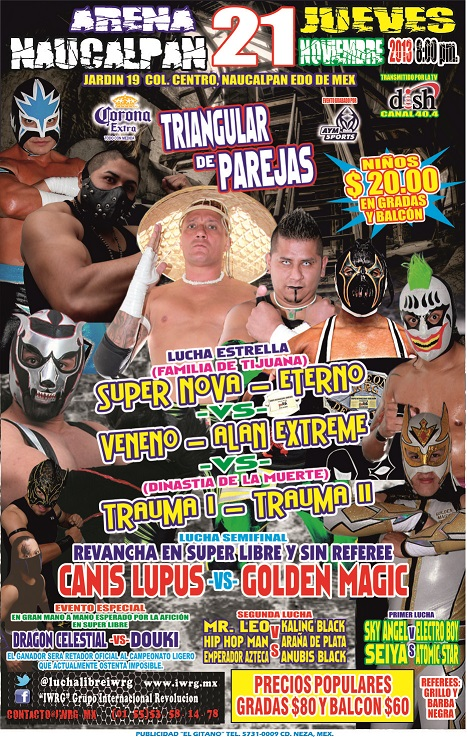 Match came down to Veneno surprising Trauma II with a cradle for the title changing win. Trauma II insisted he kicked out in time. Traumas fall on fourth defense.